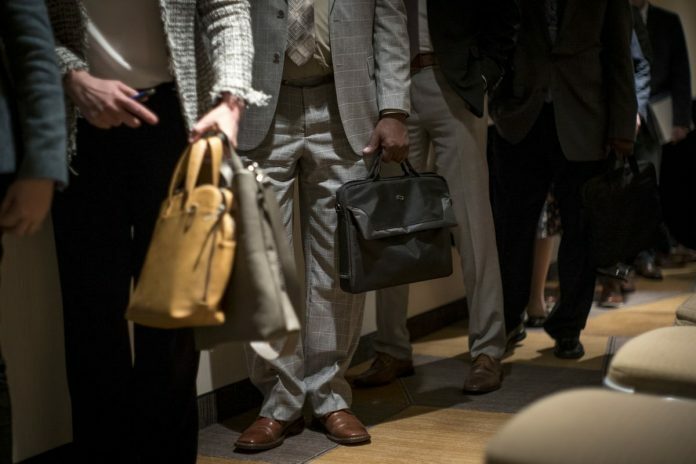 NEW YORK – Filings for United States unemployment benefits unexpectedly dropped, falling to the lowest level since October 1969, as the tight labor market showed little sign of easing. The fourth-straight drop in claims indicates the labor market remains historically firm as employers still find it hard to attract and hire workers amid low unemployment. The report comes a day after Federal Reserve officials signaled they’re prepared to move interest rates higher or lower as needed, but an unusual mix of risks means they could remain on hold all year. In separate data Thursday, March producer prices excluding food and energy – a key measure of U.S. prices – increased 0.3 percent from the prior month, more than forecast, and climbed 2.4 percent from a year earlier, matching estimates. A Bloomberg survey of economists had forecast claims would rise to 210,000. Continuing claims, which are reported with a one-week lag, dropped by 13,000 to 1.713 million in the week ended March 30. The unemployment rate among people eligible for benefits held at 1.2 percent. The previous week’s claims were revised up to 204,000 from 202,000. Reade Pickert is a reporter for Bloomberg News.